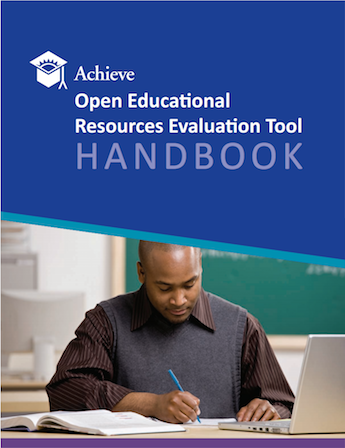 Below is a set of materials developed to help educators use and learn more about the Achieve Open Educational Resource (OER) Rubrics and OER Evaluation Tool. This includes a handbook, videos and set of presentation slides that give instructions on how to apply the rubrics and use the online tool, as well as examples of what different ratings mean under each rubric. The information included in in the handbook, videos and slides is meant to mirror one another, with specific examples included in the handbook and slides. Multiple ways to read and share this information gives educators the opportunity to use the resource(s) that are most useful for them. Click the links below to view videos and download presentation slides that explain how to apply the rubrics and use the OER Evaluation tool.